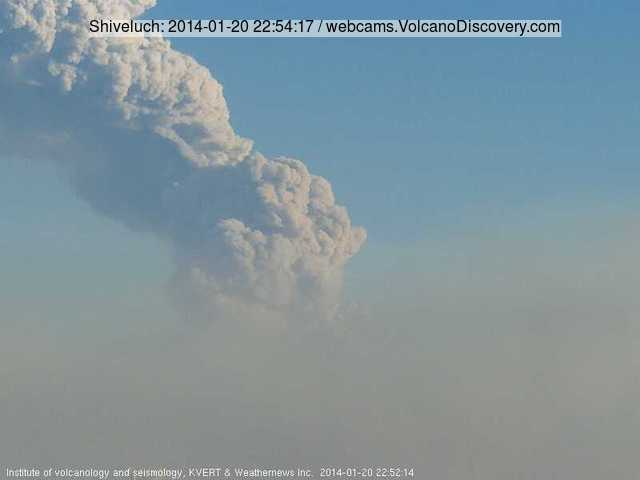 Shiveluch (Kamchatka): A relatively large explosion occurred this morning at the volcano. An ash plume rose to estimated 28,000 ft (8 km) altitude and drifted WSW. Following the eruption, the volcano continued to produce intense degassing and minor ash venting, and glow from the active lava dome is visible on night-time webcam images. Kilauea (Hawai'i): (20 Jan) Booming sounds from Kilauea summit this week, heat from high lava lake cracks the crater walls! Levels dropping again now in natural cycle.